The Super Eagles’ final build up to the World Cup gets underway today at the Fulham’s Craven Cottage as the players tr!ckled into London ahead of the Wednesday friendly match with Scotland. 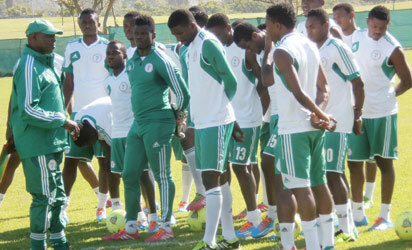 NFF’s spokesman, Ademola Olajire said at the departure of the technical crew and the five home players on Sunday that the Europe-based players were expected join the squad later today. 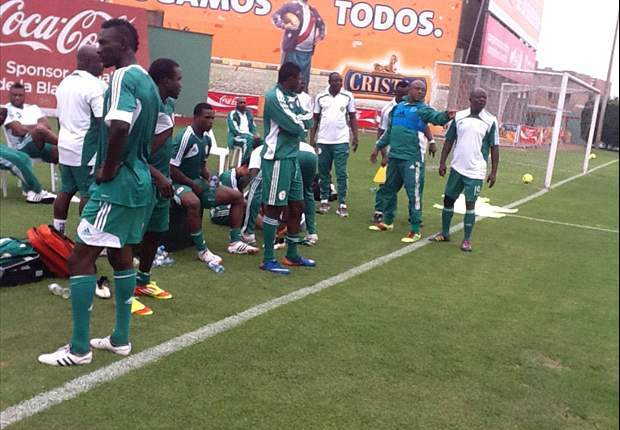 The home –based players that left Nigeria on Sunday are Chigozie Agbim, Azubuike Egwuekwe, Ejike Uzoenyi, Kunle Odunlami and Daniel Akpeyi. It was, however, gathered that some of the players are already at the team’s hotel waiting for the arrival of the coaching crew. Nigeria will depart for the United States after the Scotland friendly for more test matches arranged for them, as Keshi will look to prune down the squad before FIFA’s June 2 deadline. 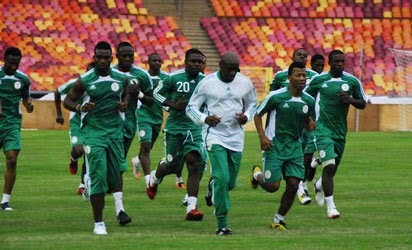 The Super Eagles will start their 2014 FIFA World Cup campaign when they meet Iran in a Group F game on June 16 in Fortaleza. Bosnia and Argentina are the other teams in the same group with Nigeria. Goalkeepers: Vincent Enyeama, Austin Ejide, Chigozie Agbim, Daniel Akpeyi Defenders: Elderson Echiejile, Juwon Oshaniwa, Godfrey Oboabona, Azubuike Egwuekwe, Kenneth Omeruo, Joseph Yobo, Kunle Odunlami, Efe Ambrose Midfielders: John Obi Mikel, Ogenyi Onazi, Ramon Azeez, Joel Obi, Nosa Igiebor, Michael Uchebo, Ejike Uzoenyi, Sunday Mba, Reuben Gabriel Forwards: Ahmed Musa, Shola Ameobi, Emmanuel Emenike, Obinna Nsofor, Osaze Odemwingie, Babatunde Michael, Victor Moses, Uche Nwofor, Nnamdi Oduamadi.